"One huge group of three or four hundred evidently mowed-down or gassed during an attack were wearing uniforms that had once been blue or greenish grey. Rank after rank of bodies, the corpses about five yards apart and each rank nearly four hundred yards long, lay there, rows of huddled things, just bunches now of bones and blackened rags, long lines of wasted manhood. The dismal drenching rains of those winter months had filled every crater to the brim. These pools of desolation, coloured according to the nature of the objects they covered and perhaps the kind of explosives that had burrowed-out the original crater, were deep enough in many cases to have submerged an omnibus. A thick oily scum, green or red or brown or inky black, often covered the surface, from which protruded barbed wire and the swollen bodies of men and animals. 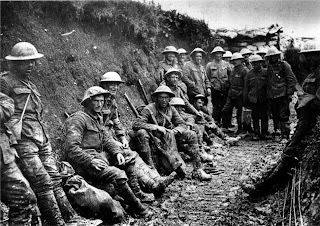 Shriveled hands - whitish of the newly killed or greenish black of those killed at the beginning of the Somme encounter, seemed to clutch at the air to warn or beckon others others to these pools of death." "I felt then, as I feel now, that the politicians who took us to war should have been given the guns and told to settle their differences themselves, instead of organizing nothing better than legalised mass murder" Harry Patch Last surviving soldier of WW1. Barry, if our country were invaded by some foreign aggressor, I would much prefer the Royal Marines and the Paras to defend us rather than Messrs. Cameron, Glegg and Milliband. Nice wet idea tossed about by those of trendy politics, but totally unrealistic. Some of us have no problem with fighting for our country when necessary and did so as professionals. As do I William. There is nothing braver than our armed forces and the comment was never meant to detract from their bravery. The words from the last surviving soldier from WW1 are as poignant today as they were when he stated them in his autobiography. Barry, there is sometimes a tendency to regard the last survivors as veterans of hell without any in depth knowledge of their involvement. There are many who went through WWII as well as the national service that followed without seeing a shot fired in anger. 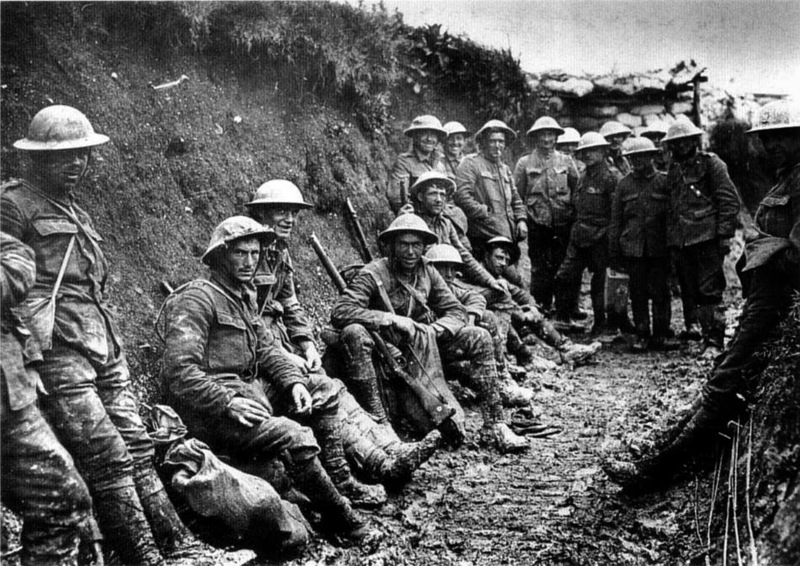 I am sure WWI was no different and not everyone spent years in the trenches. In my experience those that have confronted death and seen friends die do not tend to talk about it too much in detail. Thus, just because Harry Patch said that in his memoirs does not make it the view of every or even a majority of soldiers. Sometimes politicians make mistakes in embroiling others in conflicts, but in most cases we Brits tend to respond to aggression by others, not start it. Where I would have a grievance with politicians is when so often, after all the sacrifice, they then embark on appeasing the former enemy to the extent of selling our own troops down the river. Where terrorists and killers walk free under peace accords yet our own troops are still subjected to enquiries and persecution decades later.